Absolutely GORGEOUS home in prestigious Buttonbush. This stunning 4-bedroom house w/ $100k+ in upgrades features a fully finished basement and hardwood floors throughout. All the comforts you deserve: large master bedroom with huge walk-in closet, heated bathroom floors, and 6-zone RussSound speaker system. The open-concept kitchen with waterfall, quartz counter and upgraded cabinetry overlooks the 18 ft Great Room. So new it still has Tarion warranty! 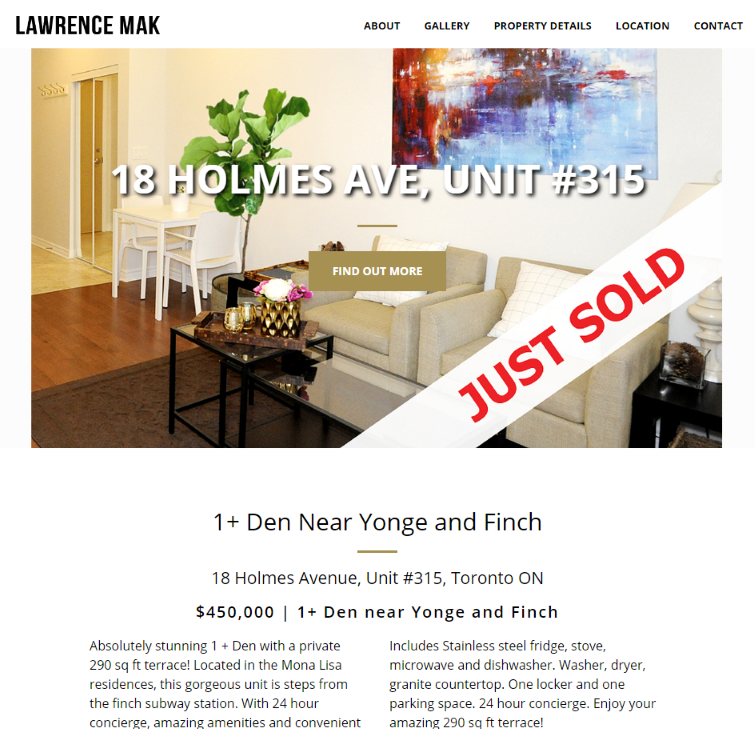 Absolutely stunning 1 + Den with a private 290 sq ft terrace! Located in the Mona Lisa residences, this gorgeous unit is steps from the finch subway station. With 24 hour concierge, amazing amenities and convenient access to transportation and restaurants, this is the perfect unit for young professionals. Calling all builders! Large 1.12 acres of land in the heart of Prestigious Lorne Park. 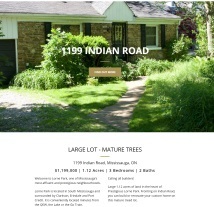 Fronting on Indian Road, you can build or renovate your custom home on this mature treed lot. 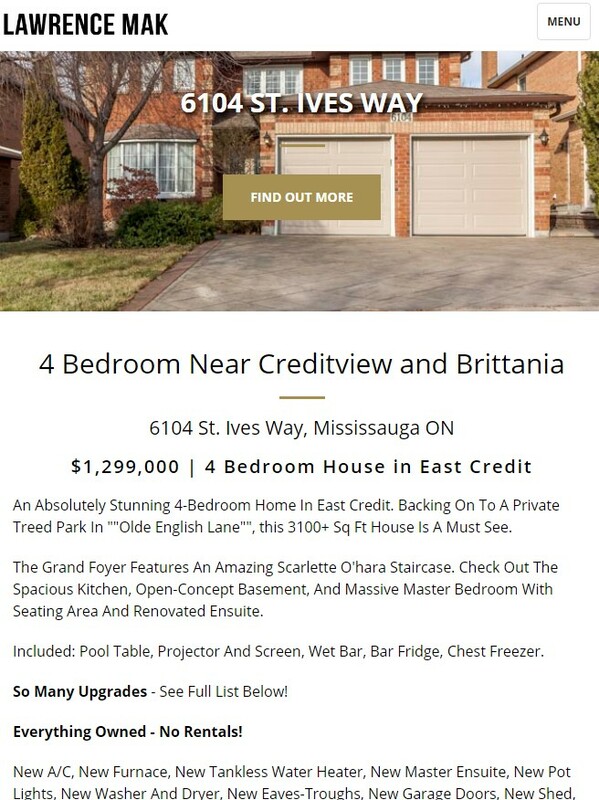 An Absolutely Stunning 4-Bedroom Home In East Credit. Backing On To A Private Treed Park In "Olde English Lane", this 3100+ Sq Ft House Is A Must See. The Grand Foyer Features An Amazing Scarlette O'hara Staircase. 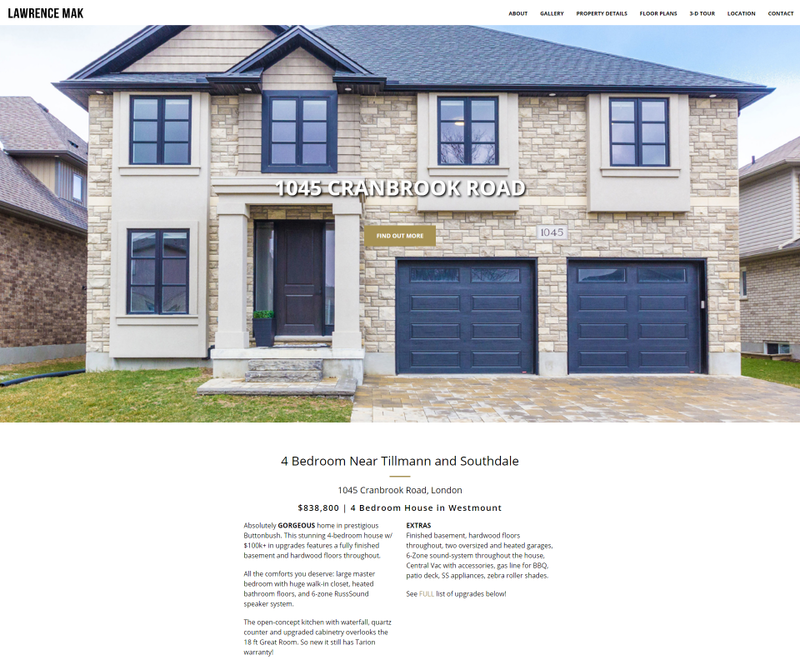 Check Out The Spacious Kitchen, Open-Concept Basement, And Massive Master Bedroom With Seating Area And Renovated Ensuite.